Companies want to work with people that they can trust. We have 17 years experiences supporting North East Businesses. Businesses run around the clock. So does our storage. Access your unit whenever you need it. No minimum notice periods. Move out as soon as you’re ready. We understand that circumstances can change. Past storage customers include the NHS & Northumbria Police. We regularly check our prices against others in the region to ensure our name is not just a name. The majority of our new business comes from recommendations. No large marketing budgets, we can pass those savings onto our customers. No national overheads. A local storage company that supports local businesses. Simple prices. One monthly price. No hidden fees, no compulsory insurances. Businesses run 24 hours a day. All our units are accessible around the clock. Whenever you need access – you’re able to use our storage. Storage units kept to the highest standard. Every unit is regularly checked. Our containers are brand new. Same models that are used to transport expensive goods around the world. Both storage rooms and container units are available. Pick the one that suits you. 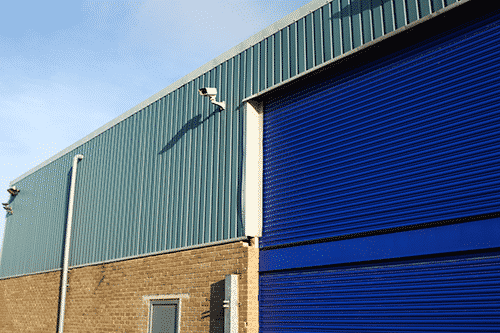 For the last 16 years we’ve been doing industrial units on our sites. If you have a small business and need a cost effective premise to work out of – give us a shout we can help. A one stop shop for IT support for businesses in the North East region. NE IT Solutions have been storing with Pay Less For Storage for over 7 years. Providing plumbing services for the last 12 years Alan Rutherford Ltd are the standard for plumbing in the region. Container storage has been an ideal affordable storage solution for the company.